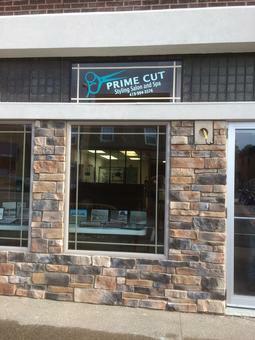 Welcome to the web site for Prime Cut Styling Salon and Spa. 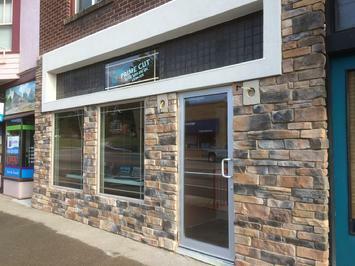 We are located in the heart of Mohican Country in beautiful downtown Loudonville, Ohio. We have been in operation for 34 years this year. 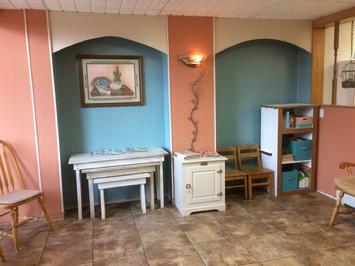 We opened in November of 1985 in a location directly upstairs from the current location. In the summer of 1992 we moved downstairs at the 135 West Main Street location. 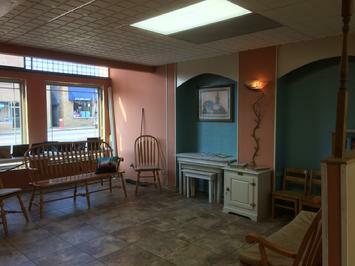 We currently have 3 stylists and a licensed massage therapist working at the salon. We have an intern working for us doing manicures and pedicures. She will be graduating at the end of March, 2019 and joining our staff also. So we are now offering manicures and pedicures also. Our hours are: Tuesday 9 to 2, Wednesday 4 to 8, Thursday 9 to 8, Friday 9 to 1, and Monday and Saturday by appointment only. We offer many services and products. We just completed a remodel of the front of the building and new stations. I will add pictures soon. 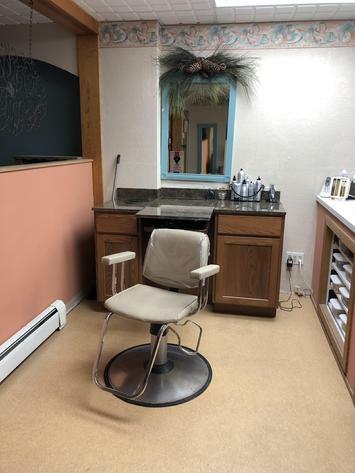 We have the largest retail area of professional products in town. 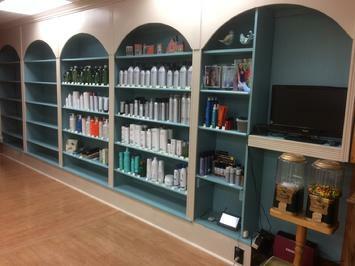 We carry a number of different product lines such as Tressa, Paul Mitchell, Nioxin, Biolage, Kenra, and Malibu 2000. We believe in trying to keep your hair in the best possible condition. Our products can make a difference. Stop in and try some professional products. You will love what they can do for you. You are also welcome to shop online. Just email and let me know what you are looking for in our product lines and I will ship it to you. We offer many services. 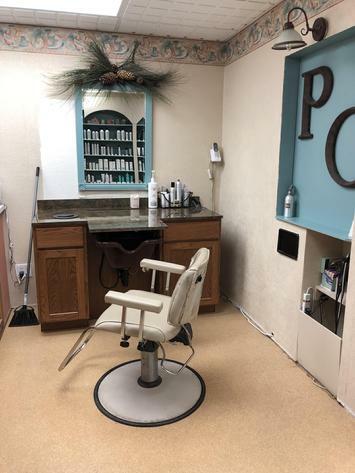 We do precision cutting, clipper cuts, color, highlighting, weaving, perming, which includes spiral and weave wraps, braiding, updo's, waxing, massage, spray tanning, and we just added manicures and pedicures. 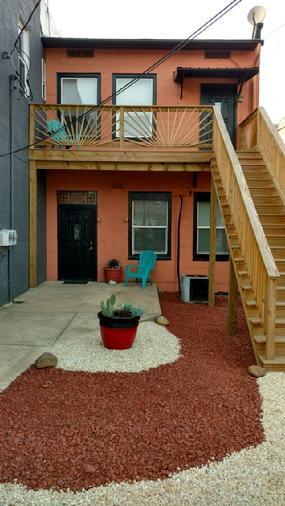 You are always welcome at our back door too! spray tan can do for you. To the left is Bri before her spray tan. To the right is Bri immediatly after her spray tan. We use an HVLP turbine system that is fast and even. It takes 10 minutes to get sprayed and 5 minutes to dry. You can walk in white and in less than 20 minutes you can walk out beautifully bronzed. Please feel free to use the form below if you have any questions. If you are wanting to place an order for any products that I sell, please fill out the form below and list what you want to order in the comments box. WE HELP TO KEEP AMERICA BEAUTIFUL!